This strong belting leather lace cord has a thousand uses. Extremely durable, this cowhide strip has the advantage that it does not accidentally come untied once you secure it. Easily tied and untied, it has enough friction that your knot will not slip out. These are great to have around the house, in your truck and at your workshop. 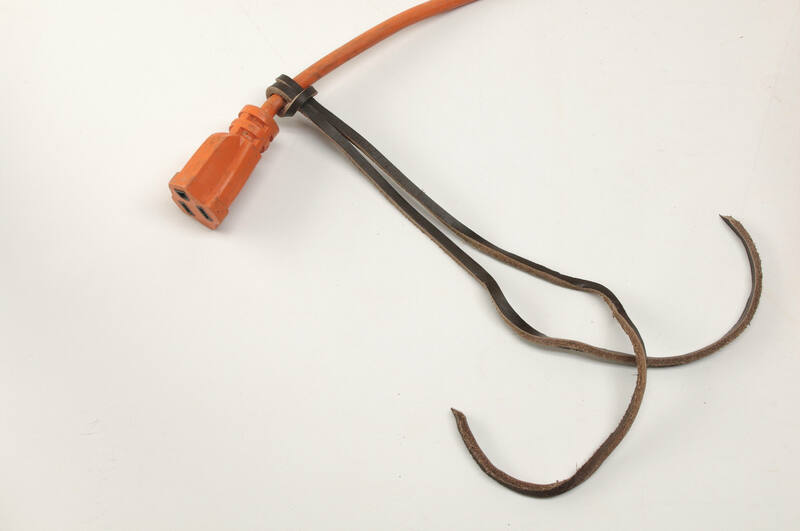 Take them to the job site to keep your power cords tied down so they don't tangle (S-roll the cord and tie it off; it will never twist and tangle again). Or, slick it and make jewelry! -These are the remnants from the strap cutting machine I use to cut my belts. -I am selling them by the dozen (12 strips). -This is the same superior quality belt leather I use on my belts. -These strips can last decades, just like my belts. -Strips are about 50 to 55 inches long, and sometimes longer. -Strips are 3/16 to 1/4 of an inch wide, and sometimes wider. -This leather is 8-9 ounces thick (which translates as 1/8" to 9/64"). -These strips are a mix of Brown, Black and Natural colored cowhide. -The vast majority of these are from Bridle Leather Double Shoulders imported from Spain (the best quality belt leather I have ever seen). 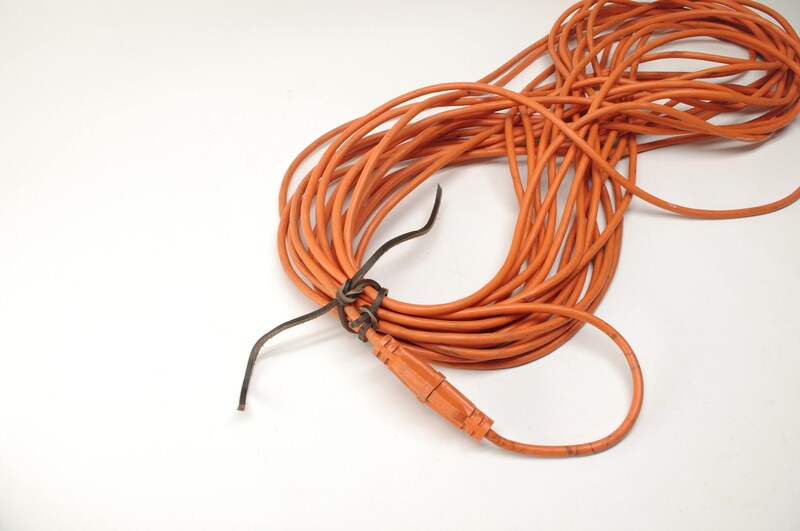 **PLEASE NOTE: All sales of this Leather Cord are final.